Video: The NCTech iris360 Panoramic Camera: delivering a 360 degree view | Video courtesy of nctech. If you use the nctech iris360 Camera - "works with Google Street View" – and are also a Matterport Pro - can you compare the two solutions, including which Camera do you use when. ... including the exchange below. Interesting about the theta. I would have expected it to be much better than that. Has anyone used the iris 360? I know it's a substantial step up in price and I assume in quality as well. 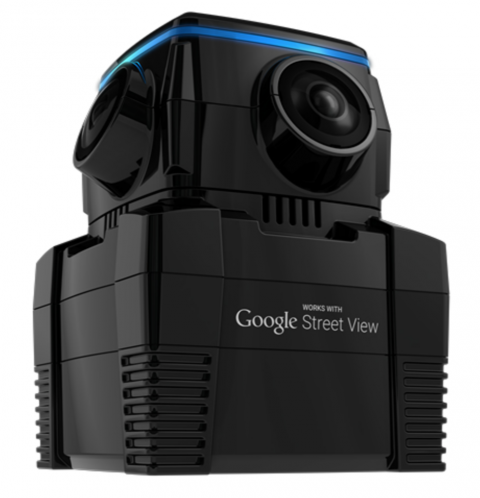 @Jamie, I use an Iris360 for Google StreetView and the quality is more than accceptable. If you go to the Forum of GSV Trusted Photographers you will find lots of people, mostly die hard DSLR guys, that say the Iris is terrible, but in my opinion the quality is fine. I have also found that the panos extracted from Matterport were good enough for Google's quality standards. The only problem with this alternative was the cost. For me, and in my market, where I can charge at most $15 per pano for a Google StreetView tour, using a Matterport and afterwards paying for extracting the panos was more expensive than carrying my Iris and shooting with it. Also, shooting with the Iris is faster. I was considering the iris a few months back, and the image quality was 3 out 5, for me. Then I found a PANONO camera, check the reviews and image quality, and would say it is a 4.5 out 5. The only advantage on the iris is that it is a google street view approved, and as far as I know, it is easier to build up the tours. I build mine with a panotour pro, and it works great. We tested the iStar 360 (essentially the same as the iris360) against the Theta and quite honestly, considering the difference in price they aren't any better. We even suspect that the iStar & iris 360 use exactly the same lenses as the Theta. Theta is as good in my opinion. I'm considering to start making 360° and business view. My first thought was to buy a fisheye lens and other equipment to make photos with my DSLR and stitch them. Now that there are more and more 360-cameras on the market I'm thinking about buying one of these. Which 360-camera gives the best results for Google Business view? I mean quality as close as possible to DSLR 360°. I think you'll find that they are way off the quality of DSLR 360 images. Theta and iris 360 are generally regarded as being the best full spherical 360 cameras available right now. It's highly likely Ricoh will bring out a new Theta S replacement soon, so with any luck the camera tech will move forward again. Would it be possible to get an example of Business Views made with the Rico Theta S and the iStar 360? Maybe I'm not good informed but why is everybody so enthusiastic about the Rico Theta S? I don't have any examples I'm afraid. I think people like the Theta as it's the best of the current selection of commercially available 360 cameras. It's a good price, is well made, can produce good images, does all the processing onboard so no messing about afterwards and it's made by a respectable imaging company. Oh, and it's super lightweight - the iStar weighs about 10 times the amount! While I do not know much about the Iris, I am quite familiar with the Istar. And honestly it is a beast. There really is no comparing the matterport or theta and the Istar as they are meant for different markets. The Istar is Lidar coloration machine at its core. The panos are super high density to be able to color the point cloud file for high end lidar scanners (50K+ machines). This is construction/survey equipment, not a pro-summer camera. And that is the reason they charge $4500 for it- because in that market $4500 to add color to your point clouds is damn cheap. Especially considering that a typical camera add on from leica is about 13K..
Would it be possible to post an Istar example over here?